Final Fantasy VII might be urgently recruiting team members, but that doesn't mean development time will speed up. 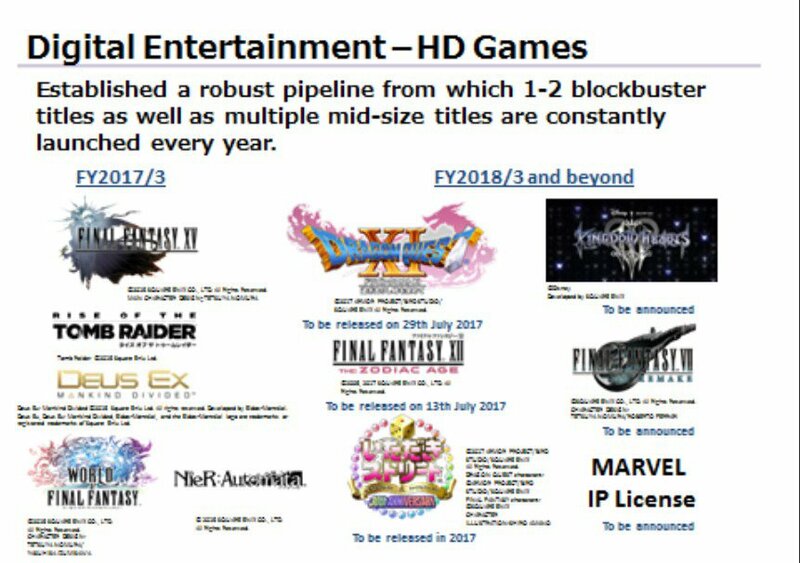 According to Square Enix's financial summary, Final Fantasy 7 Remaster and Kingdom Hearts 3 are still as far as three years away from a proper release. Square Enix presented the company's financial results briefing where Square Enix President Yosuke Matsuda and Chief Financial Officer Kazuharu Watanabe revealed that the Final Fantasy 7 Remake and Kingdom Heart 3 releases are slated as part of their Fiscal Year 2018 and beyond plans. Both titles have release dates set for "To be announced." So while the core Final Fantasy 7 team is rapidly scaling up for the coming production cycle, it will still be awhile until players will be able to play the long-awaited remastered game. Director Tetsuya Nomura even mentioned the size of Square Enix's development team as a key component for Final Fantasy 7's successful development. Final Fantasy 7 Remake was announced at E3 2015, while Kingdom Hearts 3 was announced at E3 2013. Since then, both games have been discussed regularly at Square Enix, but it's still a little disheartening that both games are still so far away. Final Fantasy 7 Remake is set to come out for the PlayStation 4, while Kingdom Hearts 3 was announced for both the PS4 and Xbox One.